Open Enrollment has officially come to an end and the holidays are upon us and often the holidays bring with them plenty of traveling to see our families and friends. Have you ever wondered what’s covered should you leave the United States as a Medicare recipient? Medicare.com has a great article regarding what is and isn’t covered, check it out here. Brief recap of the article: Medicare usually doesn’t cover health care when you are outside of the United States, but there are a few exceptions including some scenarios on cruises or in Canada. Importantly the article also notes that Puerto Rico, the U.S. Virgin Islands, Guam, the Northern Mariana Islands and American Samoa are all considered a part of the United States and as such Medicare does provide some coverage in these place but be sure you are aware of how your network works before traveling. All in all, it’s always a good idea to check out a travel policy before traveling somewhere to ensure you will be covered if some unforeseen medical emergency were to happen. As always, feel free to call our office at 1-800-535-1310 with any insurance questions and our staff will be happy to help you! In attempts to find easy-to-make dinners that will not contribute to heart disease I have officially come across my favorite recipe yet, the video can be found here! There are a lot of variations possible with this recipe and if you don't have an Instant Pot you can just bring out the trusty slow cooker and cook on low for 8-12 hours. 1. Caramelize onions. This can be done on the "sauté"setting with an Instant Pot. 2. While onions are caramelizing, in a large bowl, uniformly coat the meat with the spices. 3. Once onions have caramelized stir the pork in, top with the orange juice and cover with lid. 4. With Instant Pot set to high pressure for 35 minutes. For slow cooker, add all ingredients and allow to cook for 8 to 12 hours on low. Recipe makes 11 pint size servings. This recipe is a guaranteed hit for any night! Give it a try and for more awesome but simple healthy recipes check out Nick Massie's website! Medicare and Major Medical Open Enrollment deadlines are coming up fast. Let us help! 2018 Regence and LifeWise are no longer offering individual insurance. Premera will no longer offer individual insurance in Island County. The CDC put out a great article today regarding staying safe for Halloween tomorrow, check it out below! Provide healthier treats for trick-or-treaters such as low-calorie treats and drinks. For guests, offer a variety of fruits, vegetables and other healthy alternatives to candy. Use party games and trick-or-treat time as an opportunity for everyone to get their daily dose of 60 minutes of physical activity. Be sure walking areas and stairs are well-lit and free of obstacles that could cause someone to fall. Remind drivers to watch out for trick-or-treaters and to drive safely! Remember as Halloween comes to a close, Individual Open Enrollment starts on November 1, feel free to call our office at 1-800-535-1310 with any insurance questions and our staff will be happy to help you! With fall right around the corner it is high time to start having those cozy meals, here's an easy one pot recipe that you can just throw in the slow cooker and have a full meal come dinner time! In a large bowl mix all ingredients together, add to slow cooker. Cook covered, on low for 6 to 8 hours until chicken has no pink and vegetables are tender. Serve over brown rice or quinoa. Check out more fantastic recipes just like this on the American Heart Association website. Feel free to call our office at 1-800-535-1310 with any insurance questions and our staff will be happy to help you! 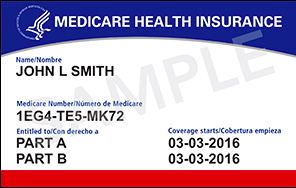 "Today, the Centers for Medicare & Medicaid Services (CMS) released a first look at the new Medicare card design. The new card contains a unique, randomly assigned number that replaces consumers' Social Security numbers. The purpose is to prevent fraud, combat identity theft and safeguard taxpayer dollars. CMS will stagger the mailings of the new card to people with Medicare benefits, starting April 2018 through April 2019. In addition to today’s announcement, people with Medicare will also see the new design of the Medicare card in the 2018 Medicare & You Handbook, which will arrive throughout the month of September."